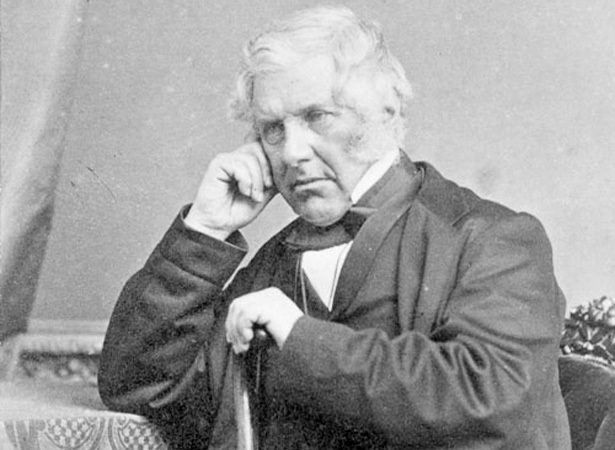 Henry Sewell took office as colonial secretary - as early premiers were called - on 7 May 1856. He had been asked by Governor Thomas Gore Browne to form the country’s first official ‘responsible’ government. Sewell held the position for just 14 days before being replaced by his provincialist rival William Fox, whose ministry in turn lasted just over a week. Soon after his arrival in Canterbury in 1853 Sewell was elected MHR for Christchurch, becoming one of 37 elected members of the House of Representatives when it met for the first time in Auckland in May 1854. The acting governor, Colonel Robert Wynyard, had rejected calls for this first Parliament to be granted the power to choose a ministry able to effectively run the colony (‘responsible government’). He instead summoned three members of the House, one of them Sewell, as unofficial executive councillors. While this ‘mixed ministry’ expected that full ministerial responsibility would follow, Wynyard insisted its appointment was a temporary measure while he consulted the Colonial Office in London. After seven weeks the ‘ministers’ resigned. The new governor, Gore Browne, announced in 1855 that responsible government would begin following the next general election. When the second Parliament met in 1856 Sewell, as the sole political survivor of the ‘mixed ministry’, was summoned to form a government. While this ministry was short-lived, Sewell became colonial treasurer and in effect deputy premier when Edward Stafford stepped up to form the country’s first stable ministry in June 1856. We have 40 biographies, 2 articles, related to Henry Sewell becomes the country’s first premier.